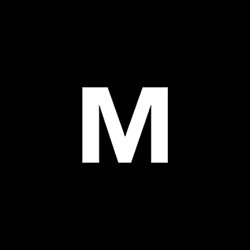 AN ONLINE VIDEO COURSE DESIGNED TO CHALLENGE AND INSPIRE. TO EDUCATE AND PUSH YOUR AERIAL FILMMAKING TO A WHOLE NEW LEVEL. After countless awards, interviews, and publications from films he has created, Jay has become a leader in the the drone and film industry striving to share his knowledge and experience with others. Working with brands like Amazon, LG, PetSmart, Samsung, and more, he has grown his experience to a new level. In this course some of his lessons include “Shooting Locations and Scouting”, “Getting Your Footage Out There”, “Story and Emotion”, “Color Grading”, and many more! Based in Southern California, Emily is an award-winning photographer and videographer. With a focus on composition, colors, and contrast, Emily’s unique aerial videos and stills have caught the attention of industry influencers. She has been recognized and collaborated with brands like DJI and Tiffen. In this course some of her lessons include “Droning Over Whales”, “Creating Vertical Panos that Mesmerize”, “Social Media Presence and Growth”, and more! As an FAA licensed drone pilot, commercial photographer, filmmaker, speaker, professor of design and visual experience, Dirk is seen as a leader in the drone industry. 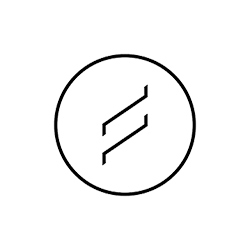 Having founded FromWhereIDrone, a leading drone photography and cinematography social media and website that provides tutorials and inspiration to drone pilots. In this course some of Dirk’s lessons include “Find the Right Image for Your Story”, “How to Catch Attention”, “The Right Drone for The Right Project”, and many more! WHAT TO PREP FOR BEFORE YOUR DRONE IS EVEN IN THE AIR. HOW TO GO ABOUT FINDING THE BEST SPOT, WITH THE BEST LIGHT. MULTIPLE SHOOTING STYLES AND SHOOTING OPTIONS. WHAT MAKES YOUR FOOTAGE DIFFERENT? SOME IDEAS ON HOW TO MAKE YOUR FILM STAND APART FROM THE REST. NOT JUST FOCUSING ON THE VISUALS OR SOUND, BUT FOCUSING ON STORY. HOW AND WHERE TO SEARCH FOR MUSIC. CHOOSING MUSIC TO COINCIDE WITH STORY. HOW TO CAPTURE IMAGES OF THESE MAJESTIC CREATURES FROM RENOWNED PHOTOGRAPHER EMILY KASZTON. COVERING DRONES LIKE THE MAVIC AIR, MAVIC 2 PRO, PHANTOM 4 PRO, AND THE INSPIRE LINE. WHAT DRONES WORK BEST FOR WHAT PROJECT. BIGGER DOESN’T ALWAYS MEAN BETTER, AND SOMETIMES IT DOES. ADDING IN AMBIENT AND DIGITAL SOUNDS TO MAKE YOUR AERIAL FOOTAGE SHINE EVEN MORE. WHERE TO GET THESE SOUNDS AND HOW TO ADD THEM IN WITH INTENTION AND PURPOSE. COVERING SOME "GO-TO" EFFECTS TO KEEP THAT WOW FACTOR IN YOUR FILMS. ADDING TONE AND MOOD TO YOUR FOOTAGE. HOW TO CREATE LUTs AND PRESETS. WAYS TO GET YOUR FILM IN FRONT OF A LARGER AUDIENCE. MORE IMPORTANTLY, GETTING IT IN FRONT OF THE RIGHT PEOPLE.. COVERING CONCEPTS LIKE LEADING LINES & PATTERNS, ANGLES OF THE SUN AND HOW IT EFFECTS SHADOWS, A SUBJECT MATTER IN YOUR IMAGE. "Who better suited to teach and start drone master class than Jay Worsley? He makes everything so relatable and understandable. This class opened my eyes to the real capability and uses of my drone and I see shots differently because of it. 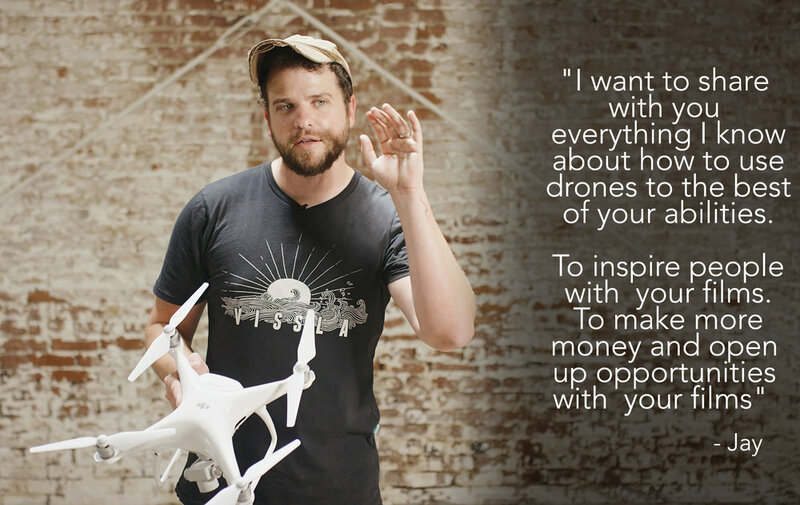 His explanations of his thought processes showed me the limitless capabilities of my Inspire 2. People say ‘the sky is the limit’, but in the case of drones, your creativity is your limit. Jay’s masterclass will remove your own thought limitations and teach you the real capabilities of yourself and your drone." “The Drone Master Course shows how to approach shooting and editing drone footage from the perspective of a true filmmaker. Everyone can tell the difference between a drone film that was beautifully crafted, and one where somebody just hoped for the best after they threw a drone in the air (we’ve all been there). But this course really dug into the details of how to make creative choices while shooting and editing, and what to do with my films once they were completed. “With how accessible drones are to people it is easy for just anyone to pick one up and start flying it. But it takes a true artist to understand the craft, it's movements and functions in a way that utilizes it so as to actually tell a story with even just a single shot. That is exactly what Jay does, and the best part is that he teaches you. From a foundational understanding of what to bring, how to scout locations and use light, to more advanced movements, crafting an edit, color grading and marketing yourself, he covers it all. "Just when you are at a point where you think you know enough to do an exceptional job in your industry, you come across an extraordinary vital tool that will completely reshape the way you think! Jay Worsley has stretched the boundaries of aerial cinematography and has compressed years of experience into this exciting Drone Master Class. This is an amazing opportunity to get beyond the normal and stand out above the rest. As an Australian based Filmmaker, this Master class is relevant to any drone operator worldwide. I would highly recommend this for anyone not just wanting to advance in their drone operating skills, but also to have forward thinking towards the edit, grade, and distribution process, at a high industry standard." “As a filmmaker, you are always trying to think outside of the box and improve your craft – and as one who uses a drone for telling a story, it becomes even more crucial. With this drone master class, The class addresses anything and everything you need to know or should know when it comes to filmmaking with drones. “Whether you own an Inspire 2 or are thinking about buying your first drone, Jay’s masterclass is 100% worth it. Jay is a passionate, award winning filmmaker and holds nothing back - he shares all of his tips and tricks. 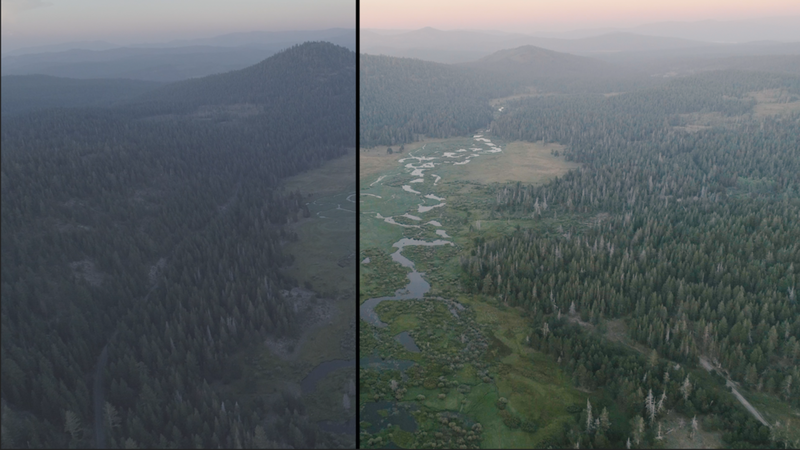 Because we want to continue to better the drone community, Drone Master Class has made a handful of LUTs for you… for FREE! Not only that, there is also a “Drone Master Class Film and Photography Guide” with 15 pages of tips and tricks for you to take you to the next level with your drone. Just fill out the form below and you will receive 5 LUTs all designed to give you different vibes and moods for your aerial footage. You’ll also receive a PDF of the “Drone Master Class Film and Photography Guide” which showcases some GO-TO shooting techniques, video export settings for Premiere Pro and FCPX, as well as some coloring tips, and prep tips. Jay Worsley is a filmmaker based in Phoenix, Arizona. After starting his craft in the wedding industry he later began to create original films only to break out into the commercial and indie film world earning him over 30 awards for his films. Traveling across world wide creating original content for brands like Amazon, BBC, LG, and PetSmart. After countless awards, interviews, and publications, Jay has become a leader in the the drone and film industry striving to share his knowledge and experience with others. Drone Master Class is a place where Jay is bringing together drone pilots and filmmakers to learn from not just himself, but other leaders in the drone world. A place to challenge creativity and push the boundaries of aerial cinematography. Whether you are a commercial filmmaker, wedding videographer, photographers, or hobbyist, this online course will challenge, educate, and inspire you. Sometimes there are promo codes or discounts for DMC. Or just rad news about new teachers and new videos coming out in the course. Subscribe and get hooked up! All sales are final. We are here to help with any questions or concerns, however we do not offer refunds or exchanges.